Elisabeth’s parents made it safely to Denver yesterday evening. We unloaded a small trailer packed with Elisabeth’s things so now she is officially moved from Washington to Denver, all of her items are here (except one broom). Her parents will be spending time with her this weekend before they head back home on Tuesday. Sunday night we’re going to all attend a Hans Zimmer concert (the composer who created music for The Lion King, Inception, The Dark Knight, and Interstellar) thanks to Elisabeth’s awesome job. She got us tickets for 75 cents each! It’s going to be a blast. 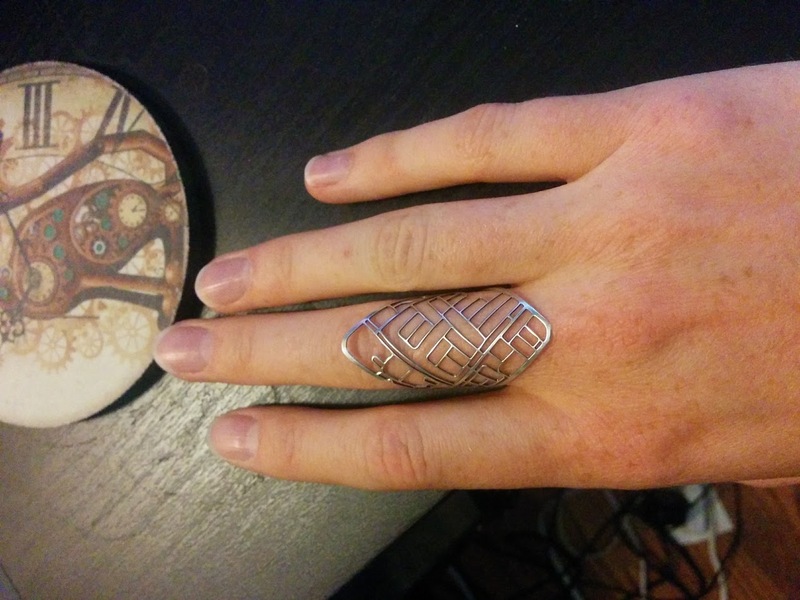 Yesterday I also got my Denver ring – the ring I purchased through Kickstarter back in April or so. It’s like my Ellensburg necklace except bent into a ring-like shape. It’s a map of my house and neighborhood. I love it. It’s so light and it matches my wedding ring perfectly (even if it didn’t I’d still like it). Love your ring! Have a great weekend!